Giacomo Leopardi is a great name in Italy among philosophers and poets, but is quite unknown in this country, and Mr. Townsend has the honor of introducing him, in the most captivating way, to his countrymen. In Germany and France he has excited attention. Translations have been made of his works; essays have been written on his ideas. But in England his name is all but unheard of. Six or seven years ago Mr. Charles Edwards published a translation of the essays and dialogues, but no version of the poems has appeared, so far as I know. 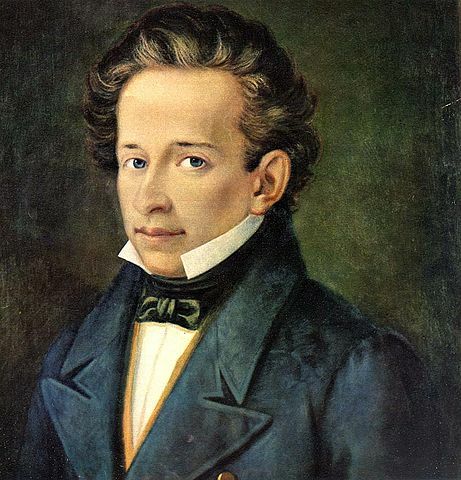 Leopardi was substantially a poet,—that is to say, he had imagination, sentiment, passion, an intense love of beauty, a powerful impulse towards things ideal. The sad tone of his speculations about the universe and human destiny gave an impression of mournfulness to his lines, but this rather deepened the pathos of his work. In the same breath he sang of love and the grave, and the love was the more eager for its brevity. He had the poetic temperament—sensitive, ardent, aspiring. He possessed the poetic aspect—the broad white brow, the large blue eyes. Some compared him to Byron, but the resemblance was external merely. In ideas, purpose, feeling, he was entirely unlike the Englishman; in the energy and fire of his style only did he somewhat resemble him. Worshippers have even ventured to class him with Dante, a comparison which shows, at least, in what estimation the poet could be held at home, and how largely the patriotic sentiment entered into the conception of poetical compositions, how necessary it was that the singer should be a bard. His verses ranged over a large field. They were philosophic, patriotic, amorous. There are odes, lyrics, satires, songs; many very beautiful and feeling; all noble and earnest. His three poems, “All' Italia,” “Sopra il Monumento di Dante,” “A Angelo Mai,” gave him a national reputation. They touch the chords to which he always responded—patriotism, poetry, learning, a national idealism bearing aloft an enormous weight of erudition and thought. To this acute sensibility of frame must be added the torture of the heart arising from a difference with his father, who, as a Catholic, was disturbed by the skeptical tendencies of his son, and the perpetual irritation of a conflict with the large majority of even philosophical minds. An early death might have been anticipated. No amount of hopefulness, of zest for life, of thirst for opportunity, of genius for intellectual productiveness will counteract such predisposition to decay. The death of the body, however, has but ensured a speedier immortality of the soul; for many a thinker has since been busy in gathering up the fragments of his mind and keeping his memory fresh. His immense learning has been forgotten. His archæological knowledge, which fascinated Niebuhr, is of small account to-day. But his speculative and poetical genius is a permanent illumination. Hymn To The Patriarchs. Or Of The Beginnings Of The Human Race. Night Song Of A Wandering Shepherd In Asia. On An Old Sepulchral Bas-Relief. On The Portrait Of A Beautiful Woman, Carved On Her Monument. Palinodia. To The Marquis Gino Capponi. The Ginestra, Or The Flower Of The Wilderness. To His Sister Paolina, On Her Approaching Marriage. To The Spring. Or Of The Fables Of The Ancients.